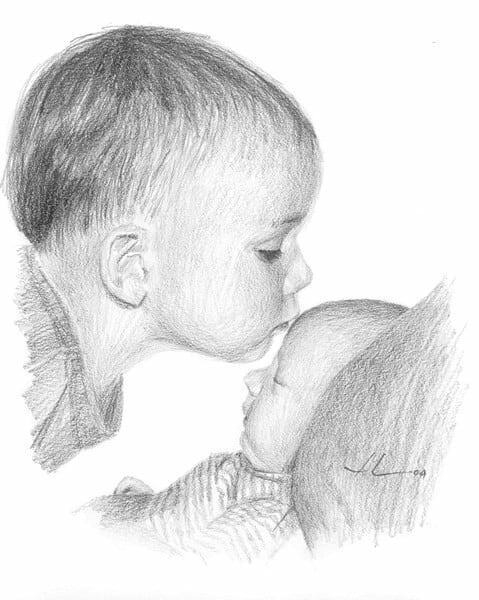 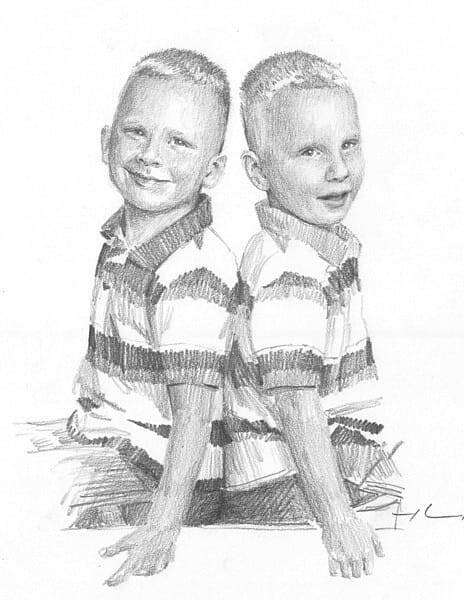 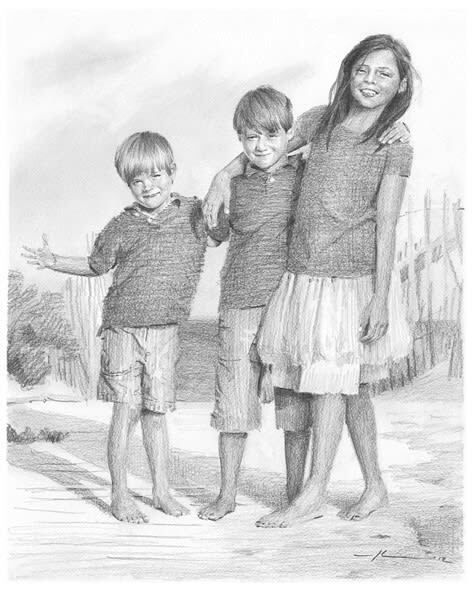 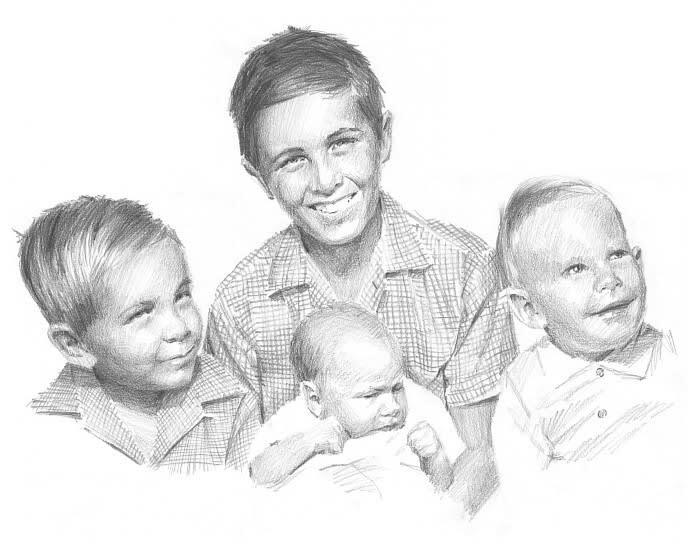 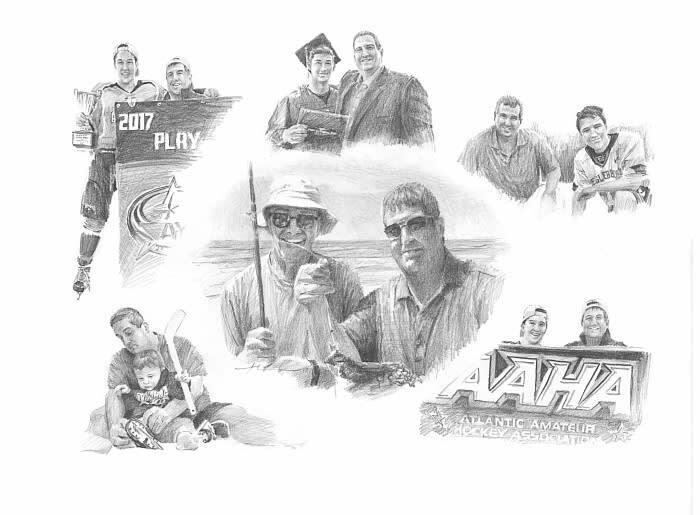 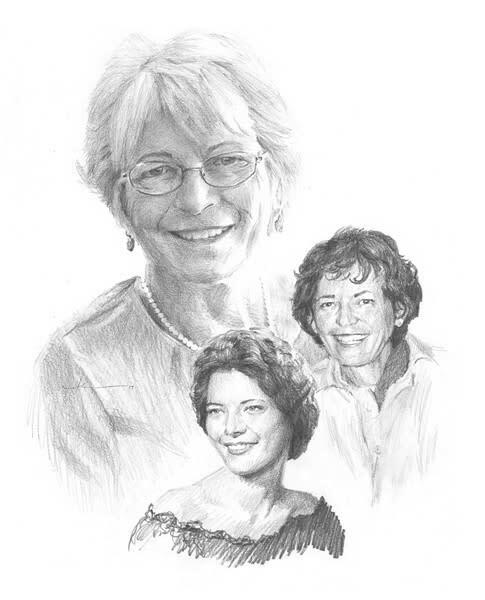 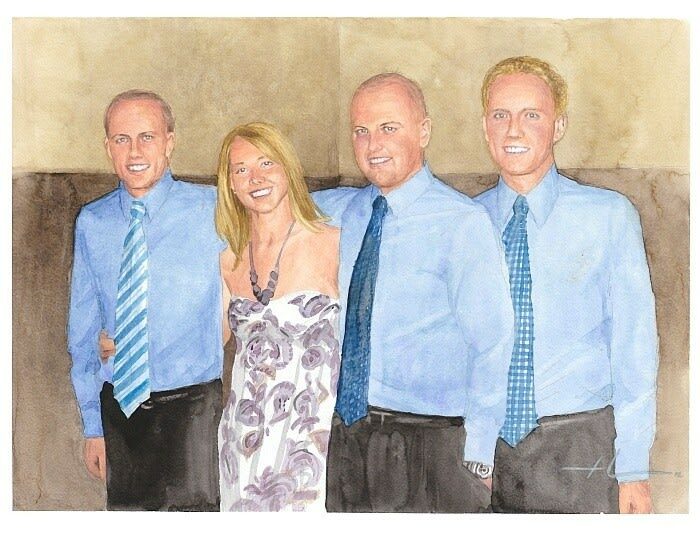 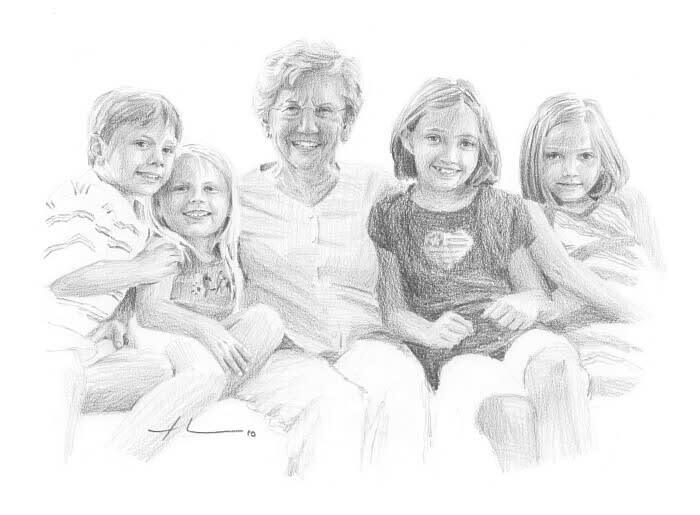 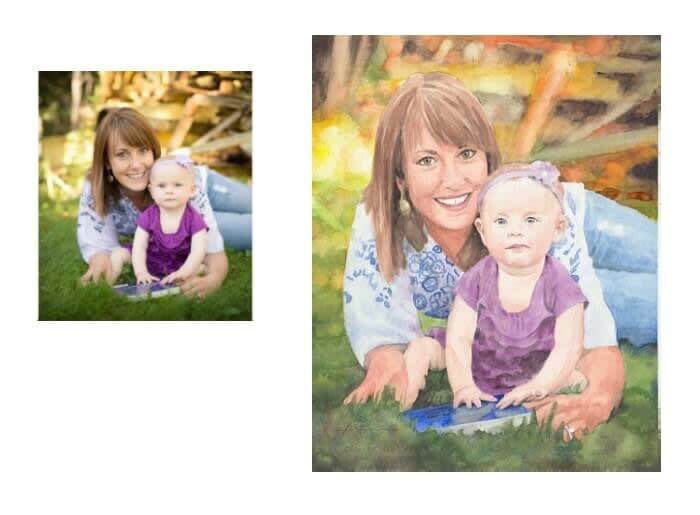 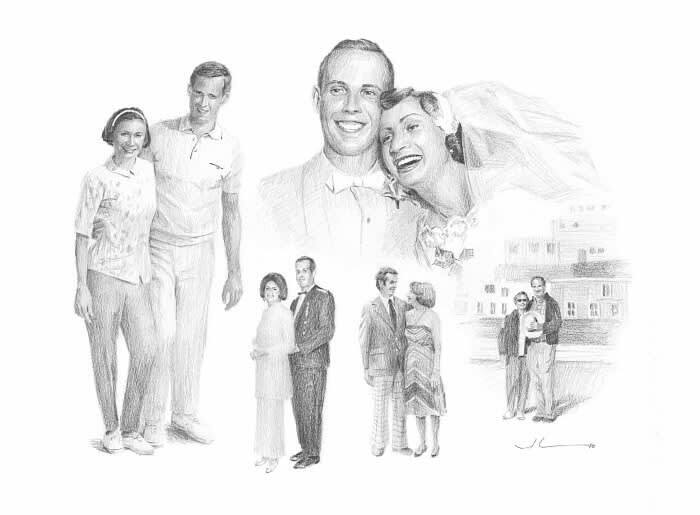 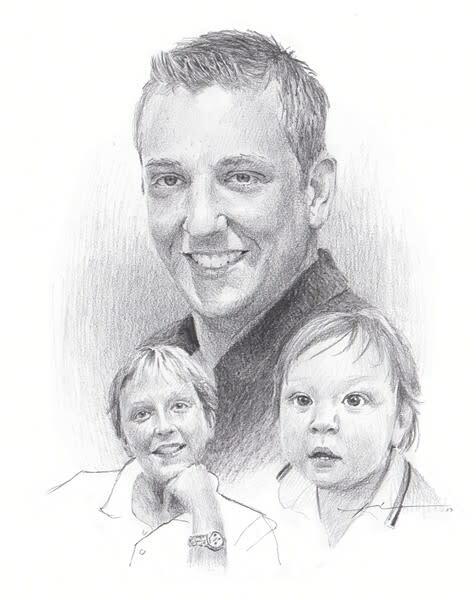 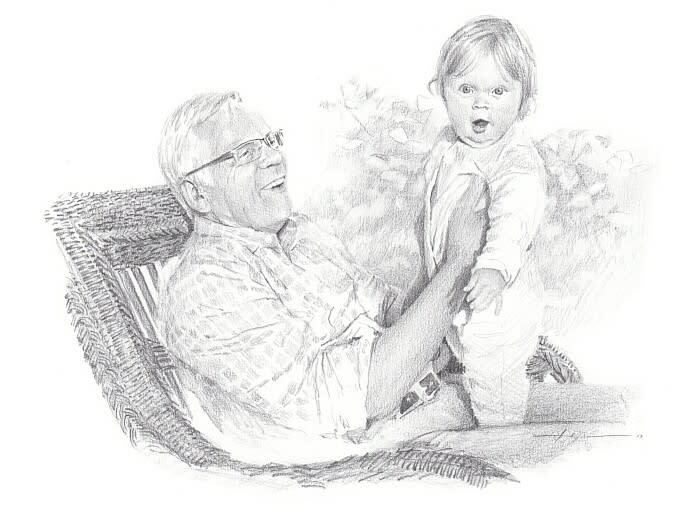 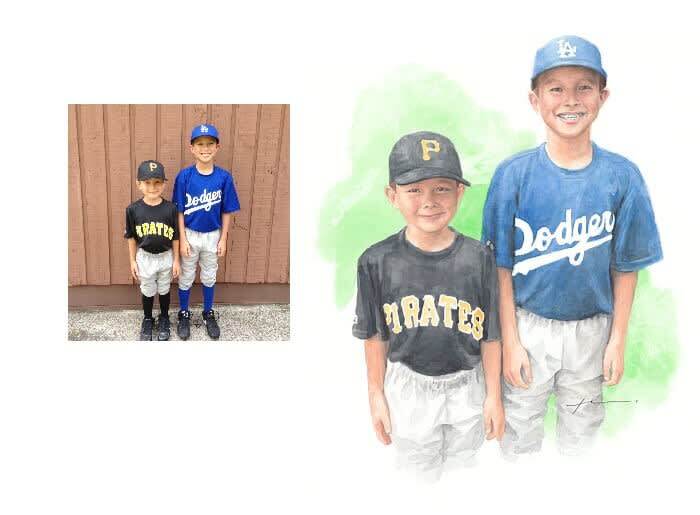 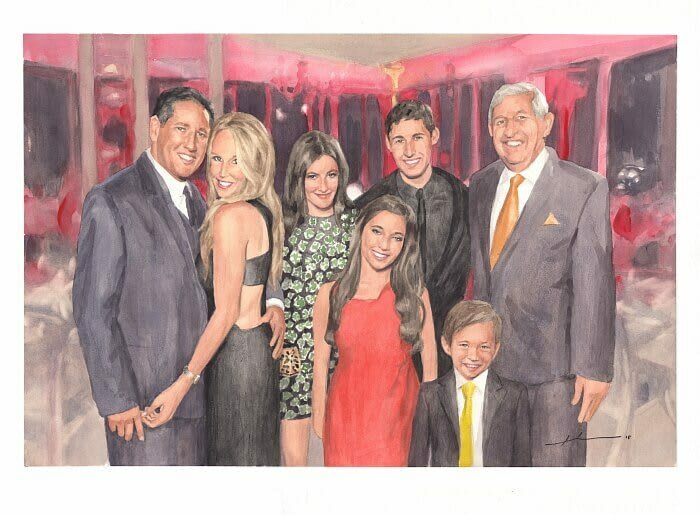 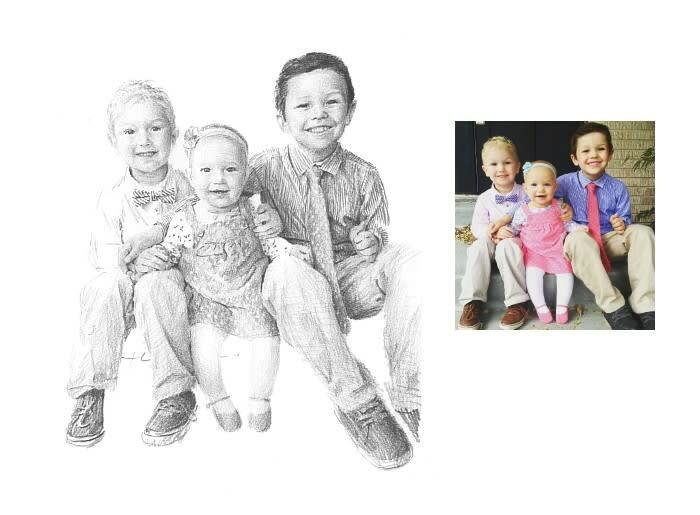 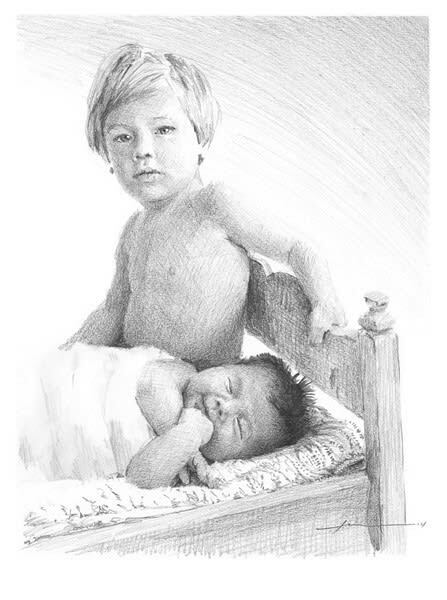 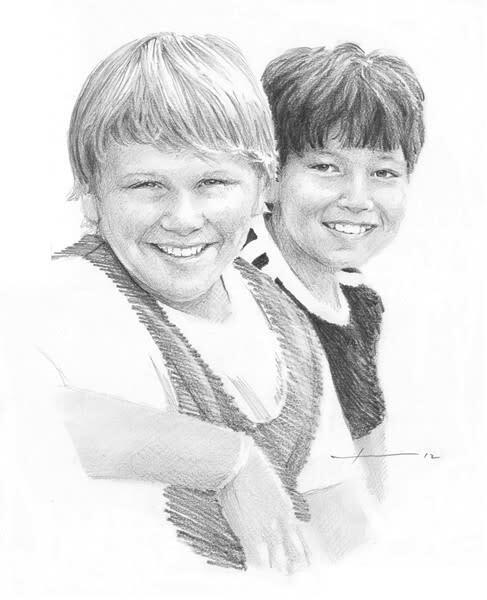 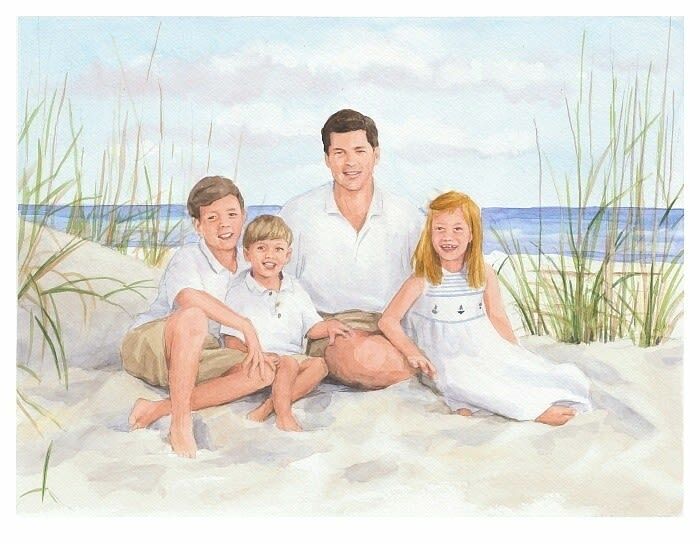 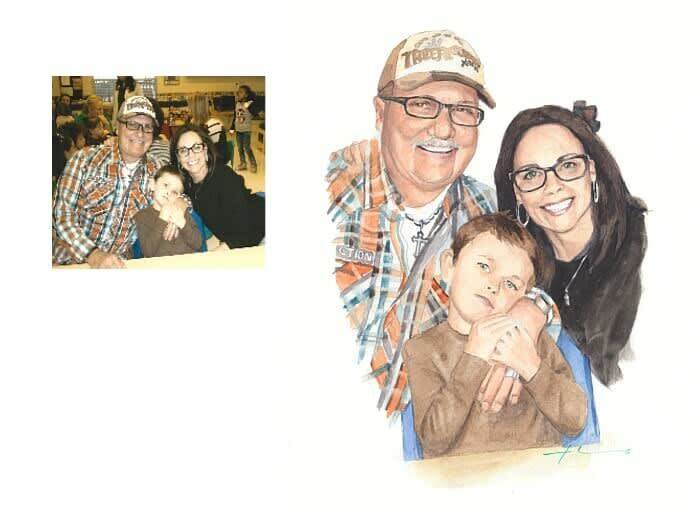 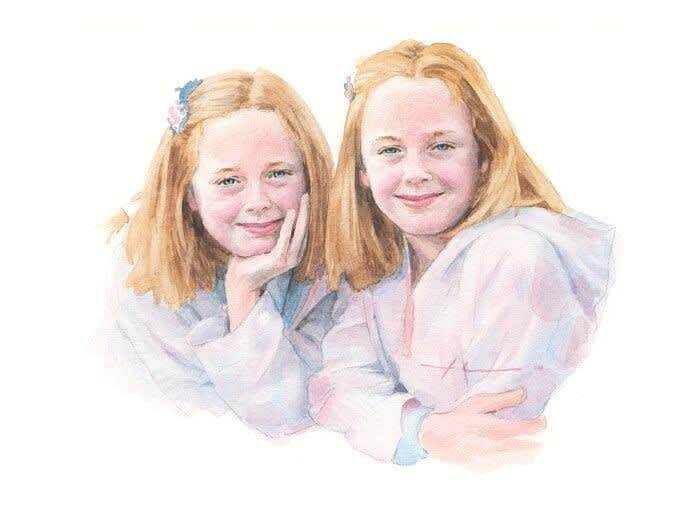 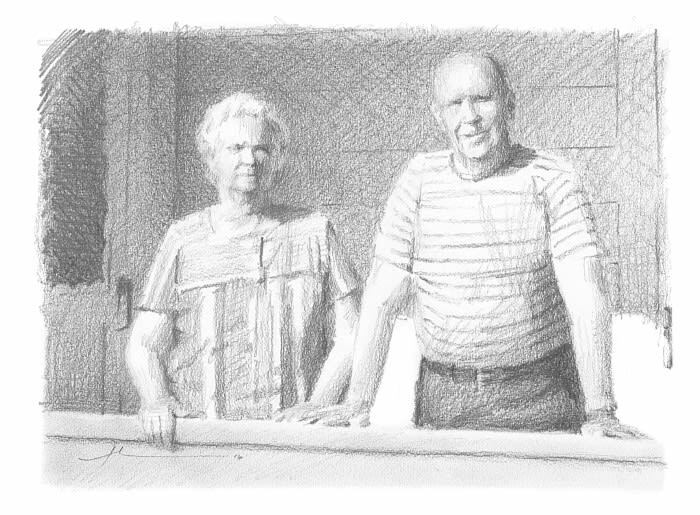 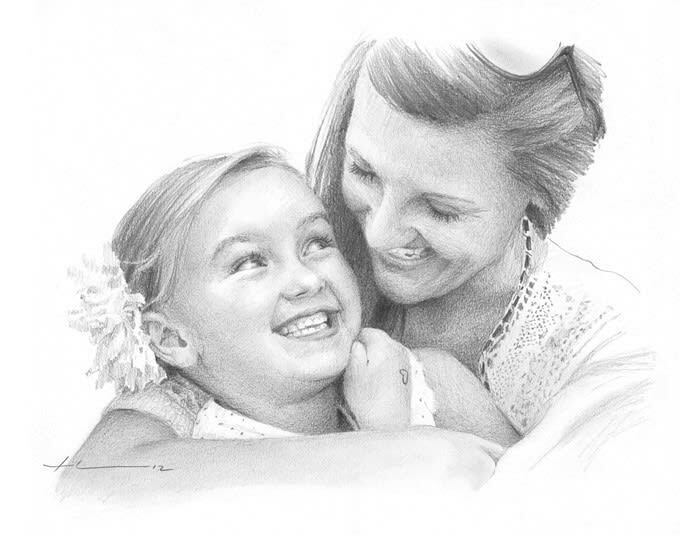 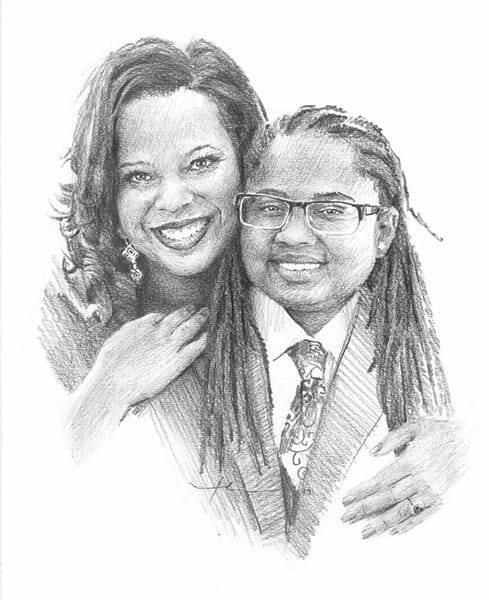 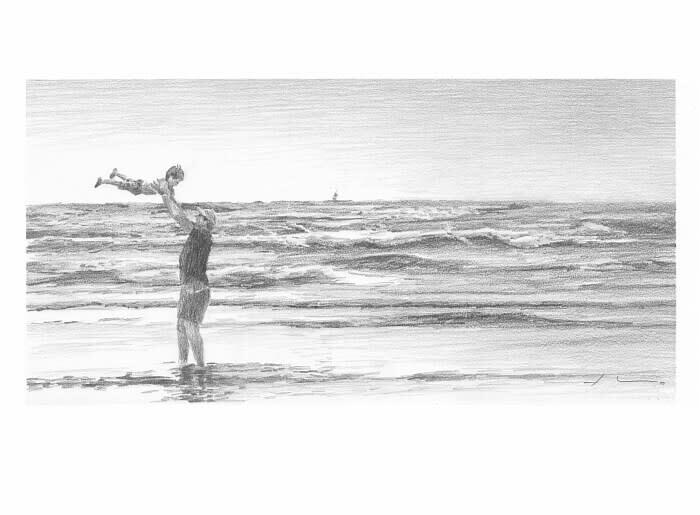 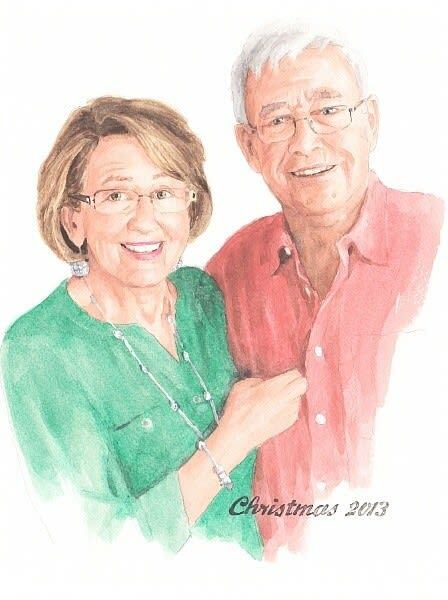 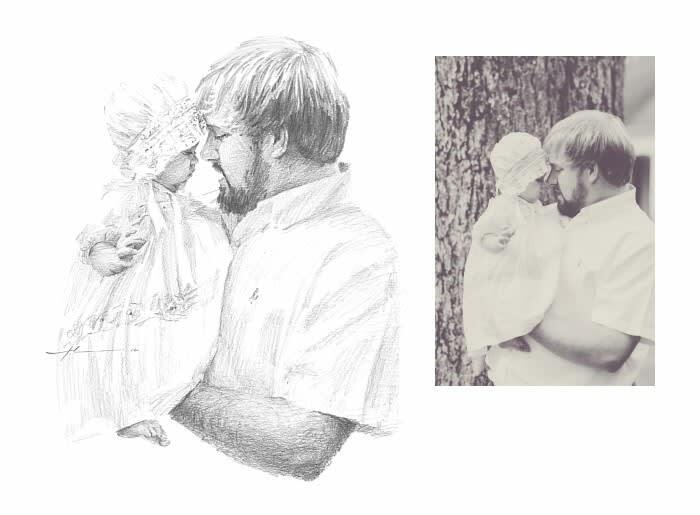 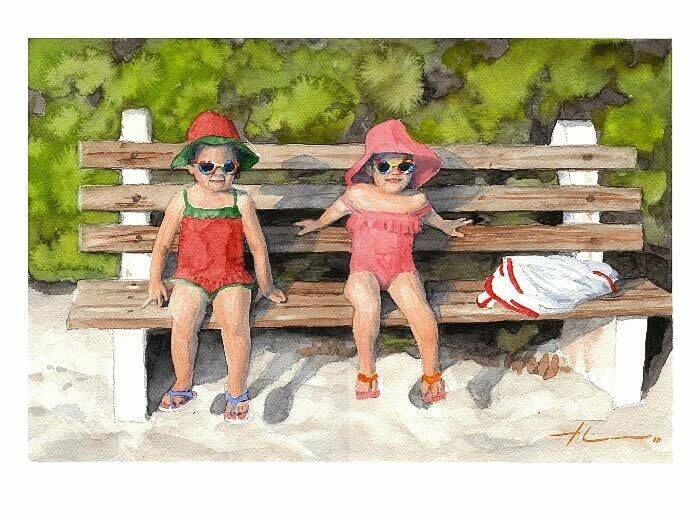 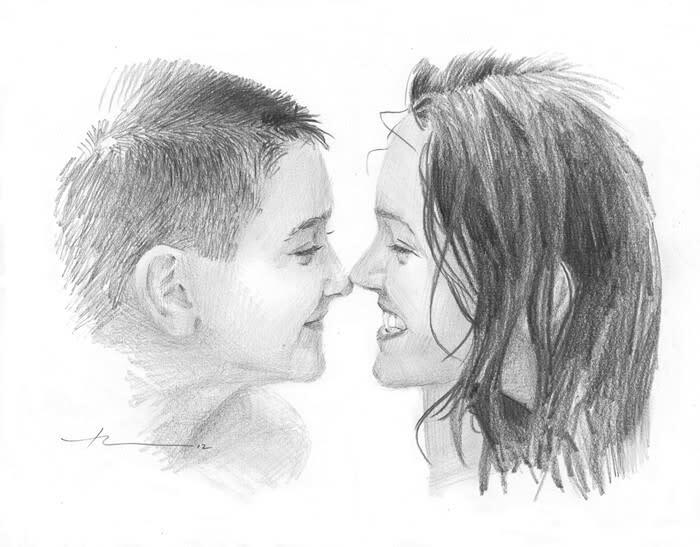 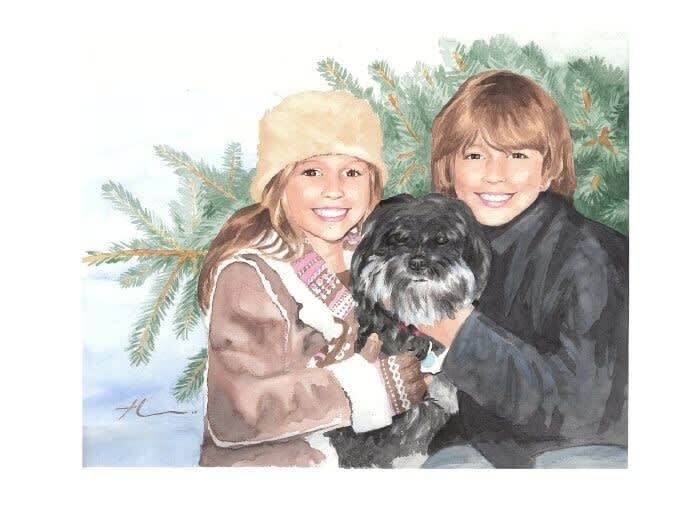 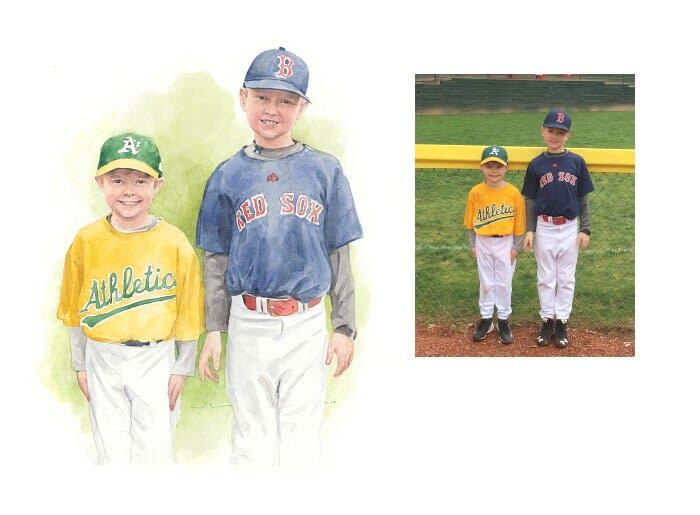 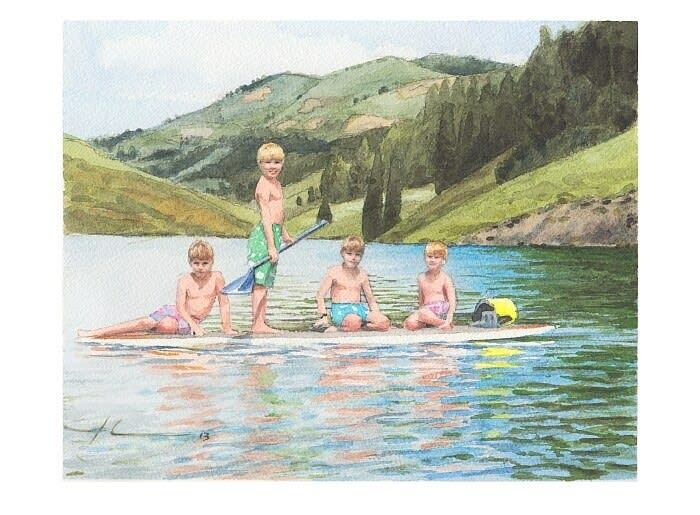 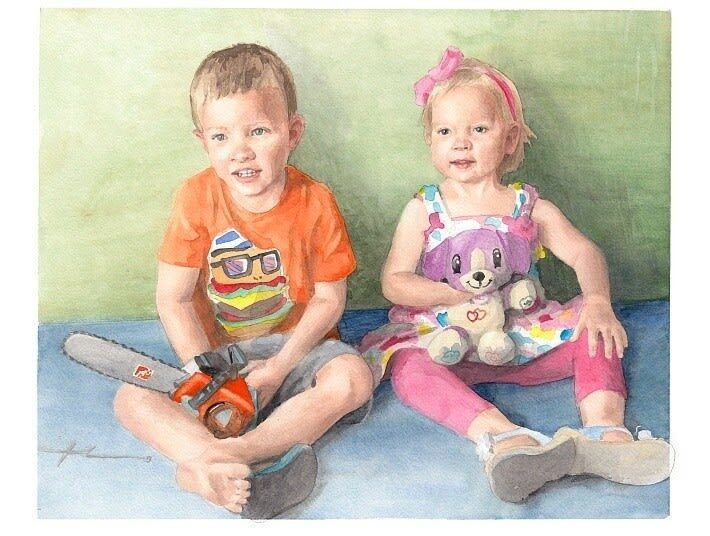 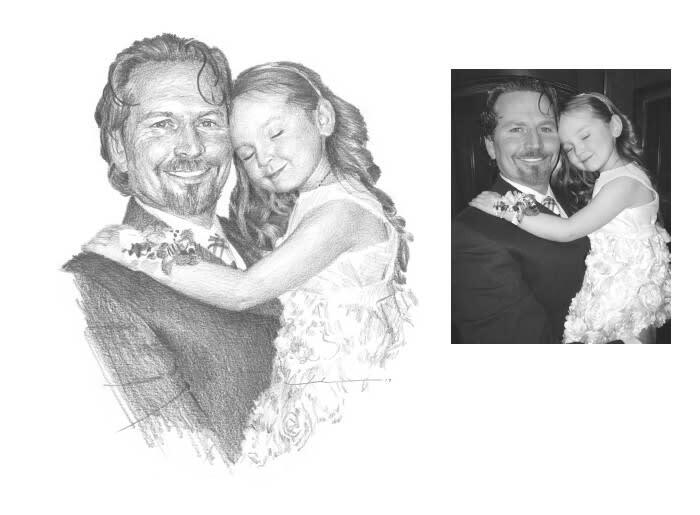 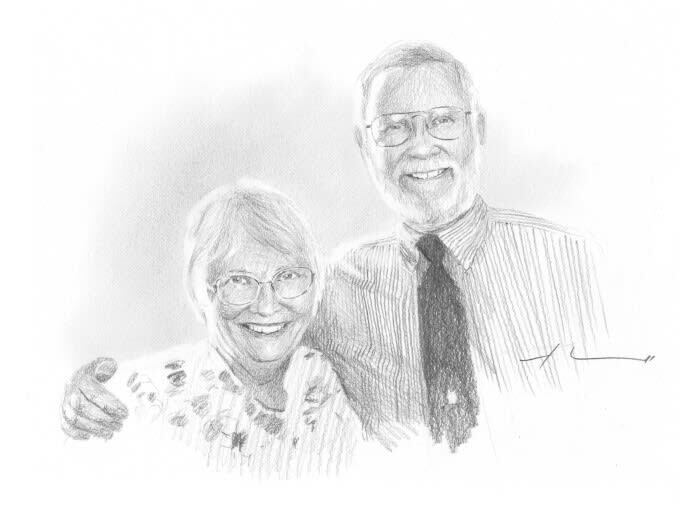 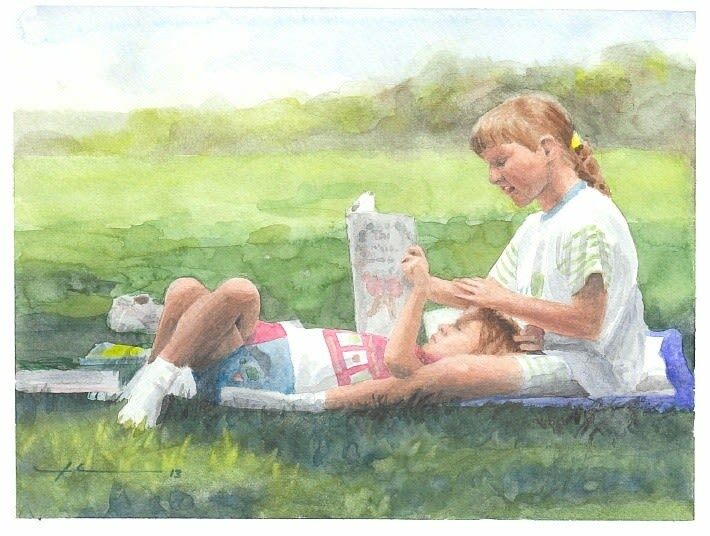 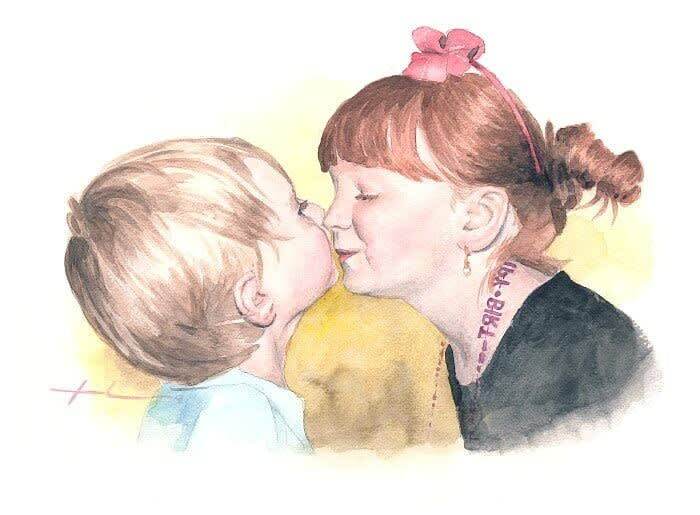 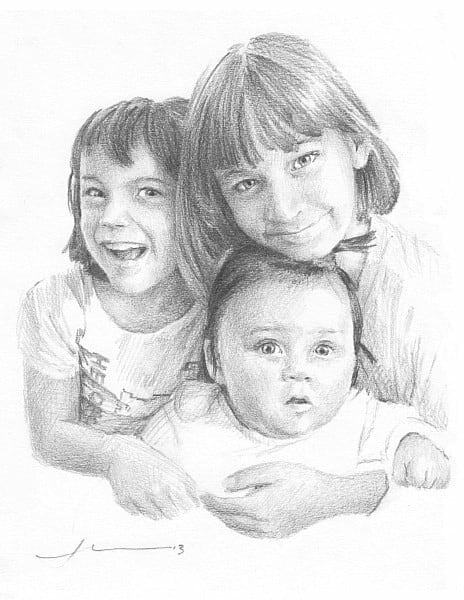 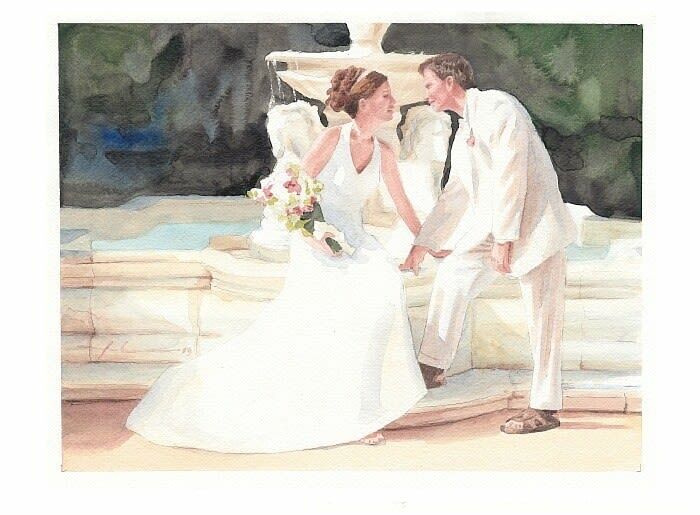 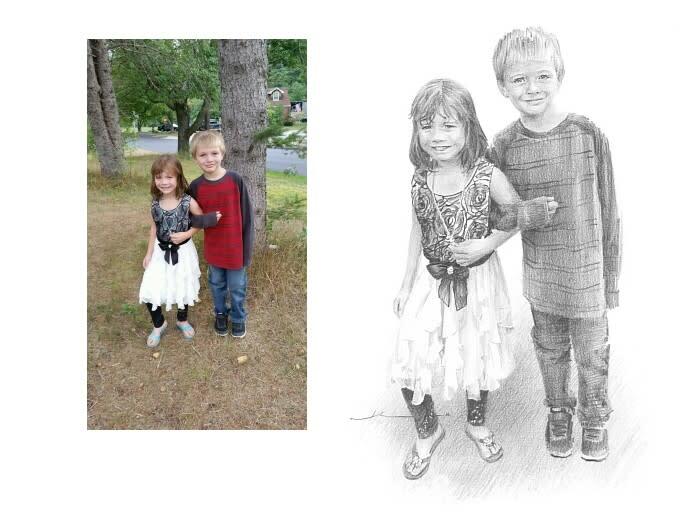 I created these sample Family Portraits using transparent watercolor paint or a 4B drawing pencil only. 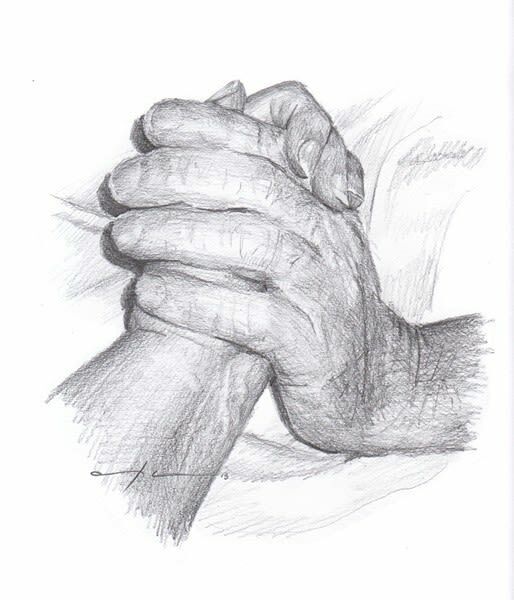 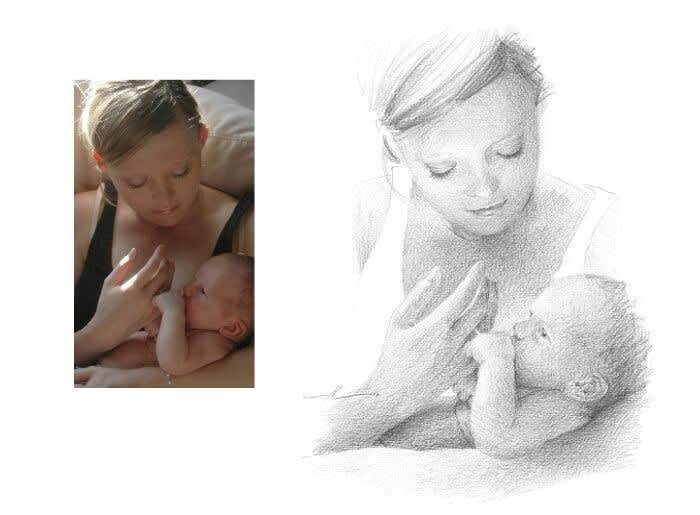 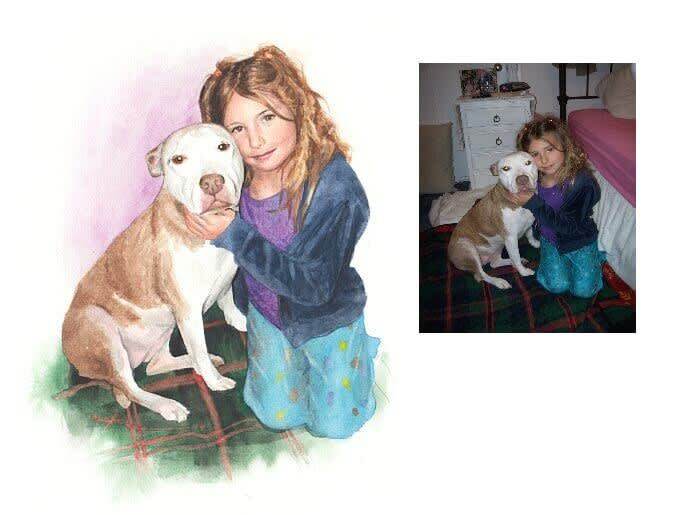 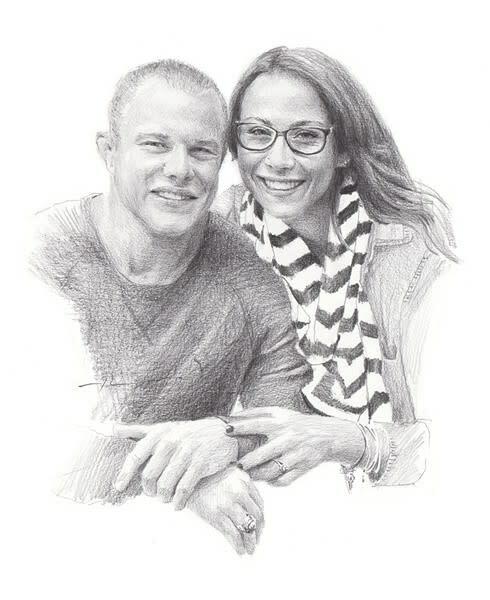 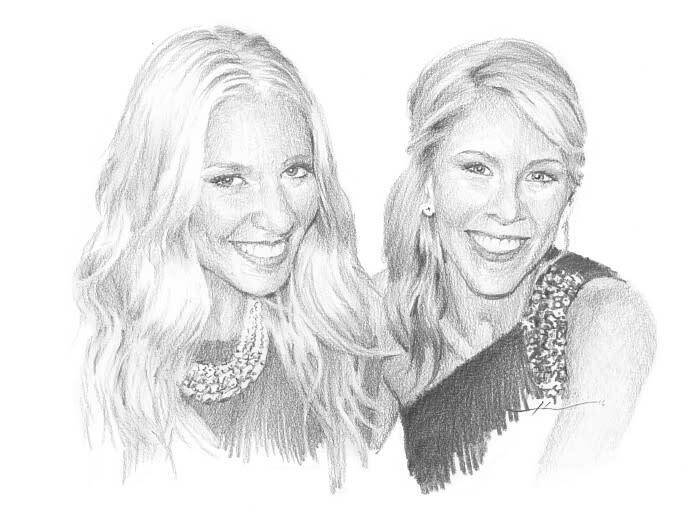 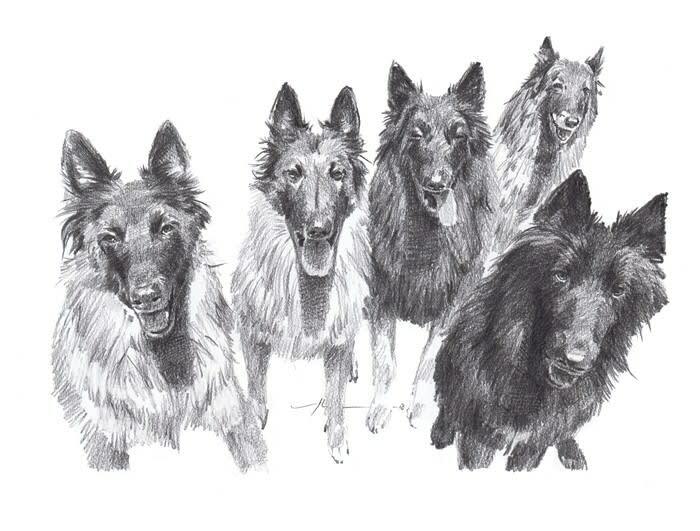 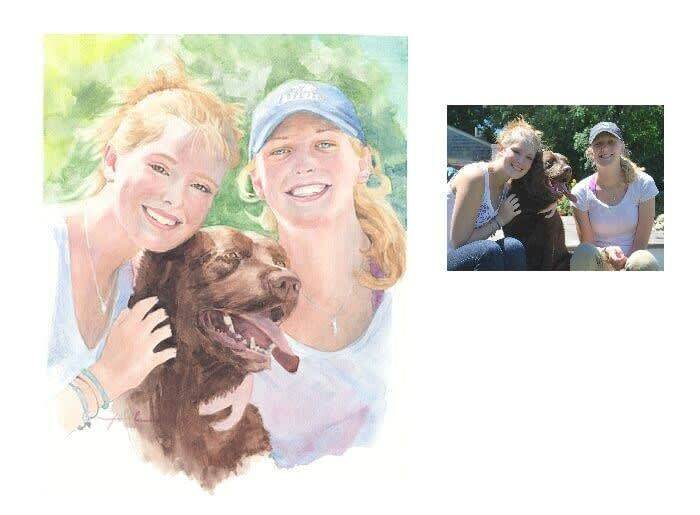 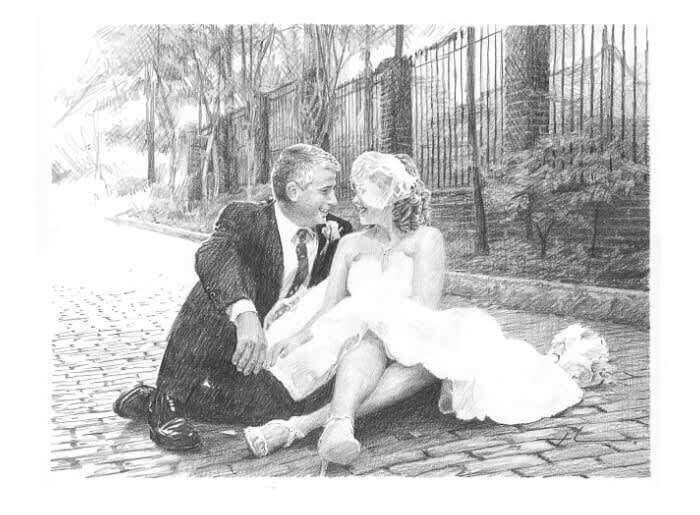 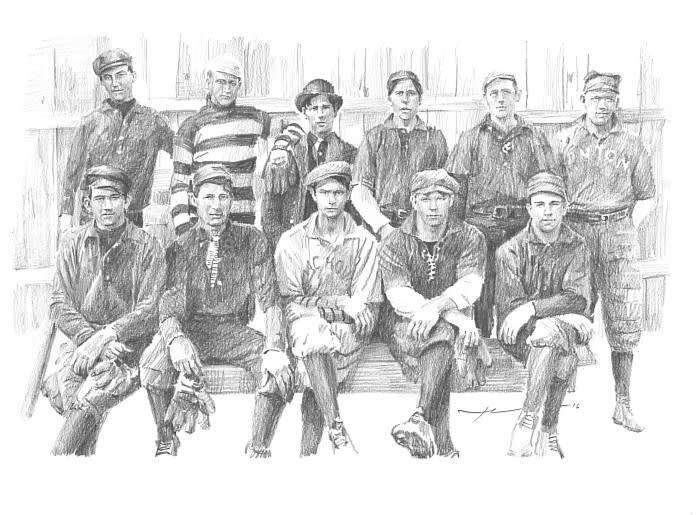 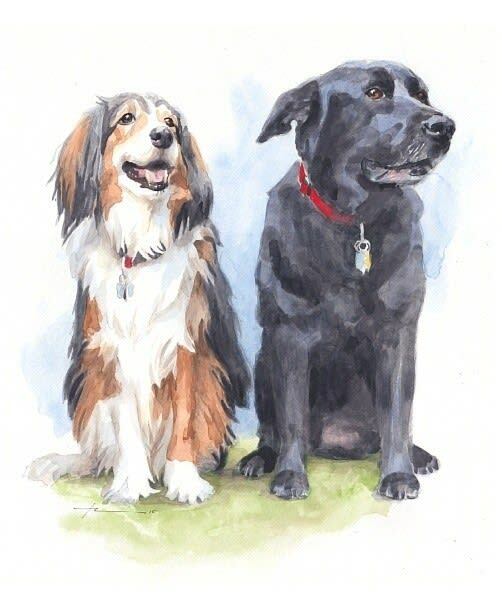 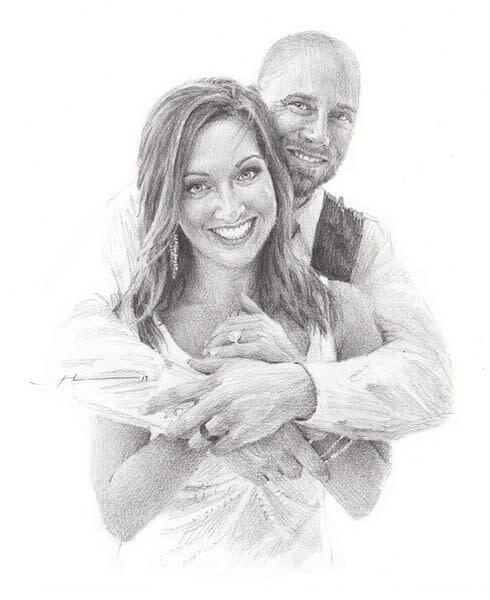 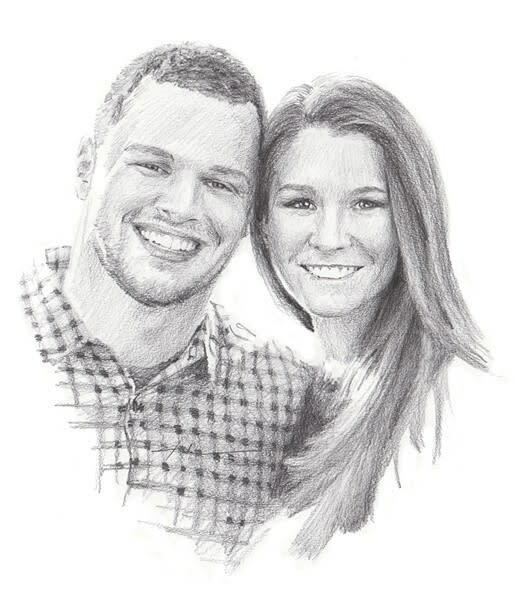 Each portrait by hand, based on a customer's photo. 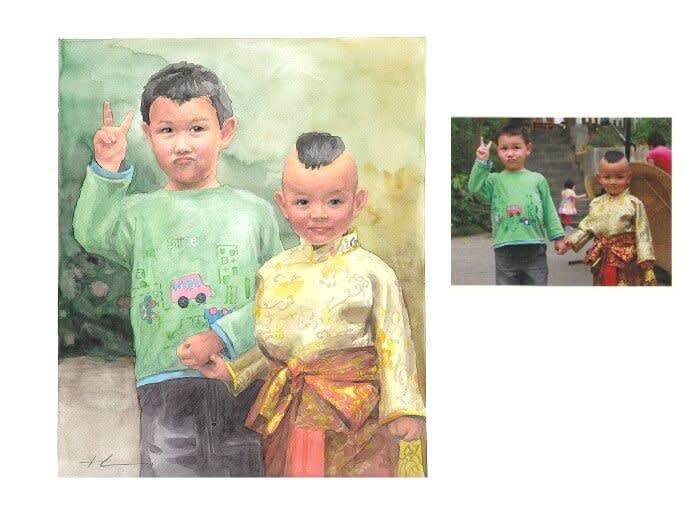 Some portraits show the original photo for reference only. 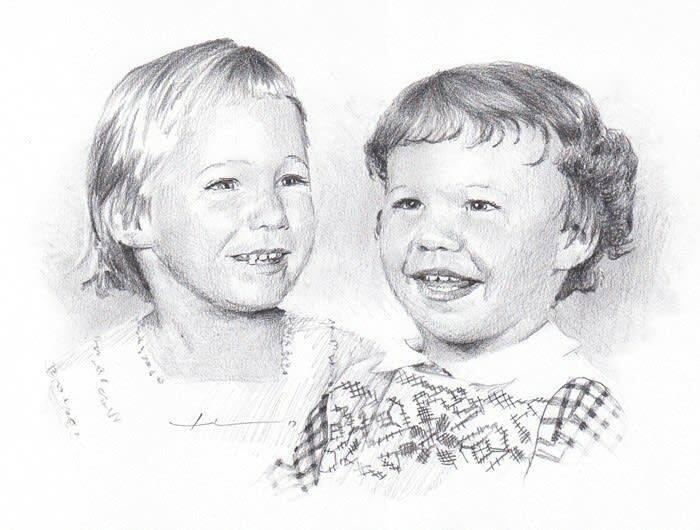 Click a thumbnail to view LARGER.